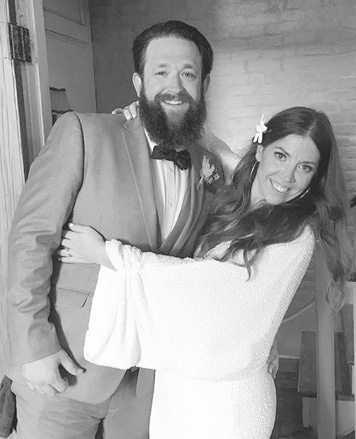 Carrie Louise Notaro and Justin Keith Harmon were united in marriage on May 27, 2017 at 5:30 p.m. in the courtyard of Race and Religious in New Orleans, Louisiana. 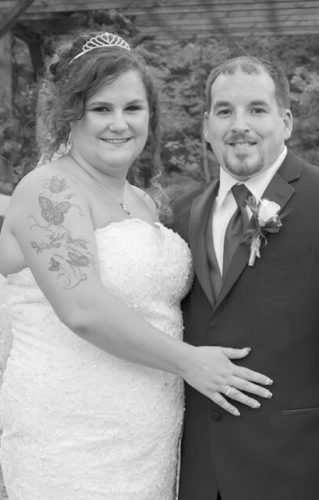 The double ring ceremony was performed by the bride’s godfather, Sam Mancuso of Dunkirk. 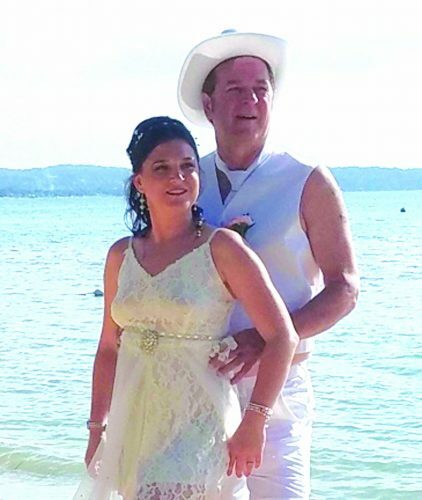 The couple chose the 45th anniversary of the bride’s parents as their wedding day, as well. 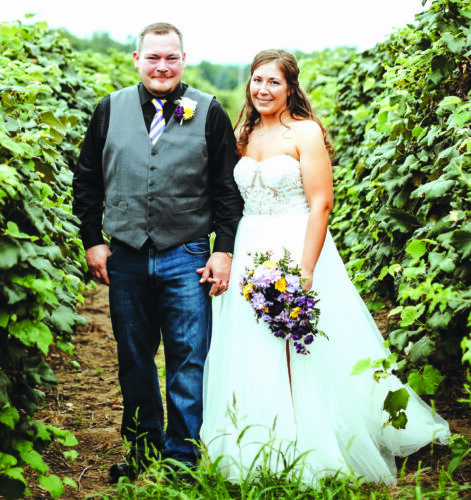 The bride is the daughter of Peter and Vicki Notaro of Fredonia. She was escorted by her father. She wore a Liz Martinez gown, fully beaded with 1970’s inspired draped sleeves and flowing train. A white tahitian tiare adorned her hair. She carried a bouquet of crinums, heirloom roses and tropical lilies wrapped in her grandmother’s white handkerchief. 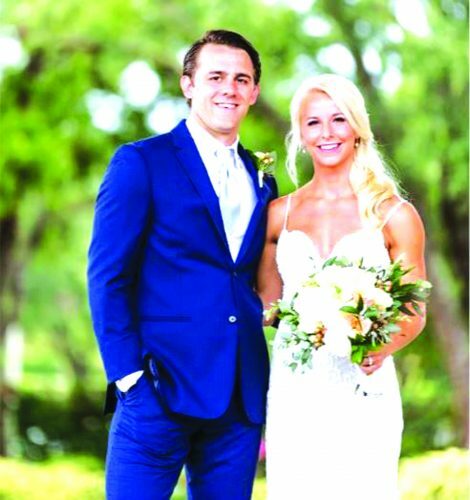 She chose her twin sister, Christina Notaro (Civiletto), as her matron of honor. Her maid of honor was her friend Erin Johnson. Her bridesmaid was friend Aimee Szczerbacki. Her attendants wore custom-designed gowns crafted by the bride’s friend, designer Anna McCraney, and jewelry by the bride’s friend Adina Mills. The attendants carried bouquets of crinums and roses wrapped in ribbon. The groom chose his brother, Nicholas Harmon, as his best man. He chose his friends Matthew Zinni, Aaron Dimitri and Ryan Szczerbacki as groomsmen. The bride is a graduate of Fredonia High School. She earned an associate’s degree in fashion merchandising management from The Fashion Institute of Technology and a bachelor of science degree in family and consumer sciences from Mercyhurst College. She works as a wardrobe stylist in the film, television and print industries and is also a project manager for ZenGenius. The groom is the son of Rodney and the late Sherri Harmon of Tallulah, Louisiana. He is a graduate of Vicksburg High School, and attended Mississippi State University. He is employed as a sales manager for Rhinegeist Brewery of Cincinnati, Ohio. A reception followed at Race and Religious, with music by JT and the Ka-Nection Band, the same band which played the night that the couple met in New Orleans. Following a honeymoon in Tahiti, Mo’orea and Bora Bora, the newlyweds are at home in Columbus, Ohio.